The objective of this review was to assess the effectiveness of tai chi for supportive breast cancer care. Eleven databases were searched from inception through December 2009. Controlled trials testing tai chi in patients with breast cancer that assessed clinical outcome measures were considered. The selection of studies, data extraction, and validations were performed independently by two reviewers. Risk of bias was assessed using Cochrane criteria. Three randomized clinical trials (RCTs) and four non-randomized controlled clinical trials (CCTs) met our inclusion criteria. 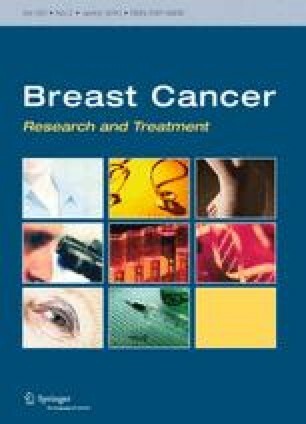 The three RCTs tested the effects of tai chi on breast cancer care compared with walking exercise, psychological support therapy, or spiritual growth or standard health care and showed no significant differences between tai chi and these control procedures in quality of life and psychological and physical outcome measures. The meta-analysis also failed to demonstrate significant effects of tai chi compared with control interventions (n = 38, SMD, 0.45, 95% CI −0.25 to 1.14, P = 0.21; heterogeneity: χ2 = 0.23, P = 0.63; I 2 = 0%). All of the four CCTs showed favorable effects of tai chi. Three trials suggested effectiveness in psychological and physical outcome measures, whereas one study was too poorly reported to be evaluated in detail. All of the CCTs had a high risk of bias. Collectively, the existing trial evidence does not show convincingly that tai chi is effective for supportive breast cancer care. Future studies should be of high methodological quality, with a particular emphasis on including an adequate control intervention. M.S. Lee and T.-Y. Choi were supported by KIOM.